Follow the fun with the 2017 Ford Fiesta! Combining fresh design with leading-edge functionality, the 2017 Fiesta makes a fashionable entrance at any party! Bedecked with the latest in technological innovation designed to maximize comfort and capability, Fiesta offers consumers a vehicle marked by compact quickness and exceptional versatility. Not convinced? Hop in: I’ll explain on the way to Team Ford! The 2017 Ford Fiesta: fun on the freeway! The Fiesta is Ford’s pint-sized party animal. Designed to optimize both fun and safety on the road, the Fiesta harnesses voice-activation technologies that help you stay connected throughout the journey! Make calls, return missed ones, listen to voice mail, send, read and reply to text messages, and even access your favourite songs and playlists through your favourite apps! Available connectivity with both Apple and Google Maps provides convenient play-by-play directions, as well as up-to-date traffic conditions and accurately estimated travel times. Not only is the free-spirited 2017 Ford Fiesta a lot of fun, its smart too! Let’s talk fun under the hood, shall we? When it comes to engines, the choices are broad. Fiesta is available with an award-winning 1.0L EcoBoost engine that generates an impressive 123 horsepower and 125 lb.-ft. of torque. The 1.6L EcoBoost engine in the ST churns out a change-your-underwear 197 horsepower and 202 lb.-ft. of torque! What’s standard in the Fiesta is nothing to sneeze at, either. A 1.6-litre twin independent variable camshaft timing (Ti-VCT) I-4 engine, engineered for maximum power and performance will get you where you need to be on the backs of 120 horses and 112 lb.-ft. of torque. Control and responsiveness are the names of the game when it comes to the 2017 Fiesta. To enhance road handling during acceleration through corners, Torque Vectoring Control (standard on all Fiestas) reconciles speed differences between the front wheels to improve cornering agility, while braking to the front inside wheel so that more of the engine torque goes to the outside wheel that has more grip. The 2017 Fiesta’s Standard AdvanceTrac automatically applies the brake pressure, modulating engine torque whenever it detects wheel slippage. In combination with its AdvanceTrac system, the Fiesta’s standard Anti-Lock Brake System (ABS) helps maintain control while braking under conditions such as ice, gravel or rain, providing confident stopping power. The friend request has been sent, and the ball’s in your court! Perfect for city cruising or hitting the open road, the Fiesta guarantees drivers a thoroughly enjoyable highway experience from departure to arrival. Replete with the latest in on-the-go connectivity and comfort the 2017 Ford Fiesta is easily the smartest compact in its class. With an interior built specially for those who truly love to drive, and performance and handling to match, its no wonder that the Fiesta is such a consumer favourite!  Contact us today and check out our wide-ranging inventory of Ford Fiestas! Find out what all the fuss is about!